Your roof protects your family and your belongings. So what exactly are you doing to extend your roof’s life? If the answer right now is nothing, it is time to make a change. As a homeowner in the Pacific Northwest, one of the most important things you can do for your home is to create and implement a strong, holistic roof maintenance program on an annual basis. Forgetfulness: You know you need to inspect your roof, but you simply forget about it. Life happens. Other home projects come up. Your roof seems fine when looking at it from the ground, so why worry? 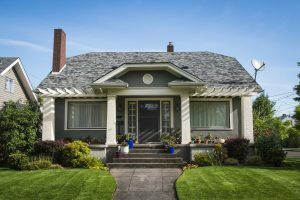 Lack of knowledge: You know your roof requires attention, but you have no idea what you should be looking for, what hidden issues may crop up, and how one small item can tie into others. Lack of skill: You know what needs to be looked after and which small issues can lead to big problems. But your limited skill makes you unable to identify and/or address the issues that exist. Procrastination: Perhaps you know about the issues that exist, and you know you can address them. But you decide that you don’t need to address them now. Or you make no decision to fix issues, thinking, “I’ll get to it next weekend.” Unfortunately, procrastination allows minor issues to grow into big problems that require increased time, effort and cost to fix. In short, if you fail to maintain your roof on a consistent basis, you risk damage to the rest of your home and property, and you risk potential injury to your family and/or house guests. Additionally, little-to-no maintenance also means you will need to replace your roof on a more frequent basis, which can become quite costly as a homeowner. Want Help? Request Our Professional Roof Maintenance Services. If a do-it-yourself roof maintenance checklist is not enough to help you protect and prolong the life of your roof, reach out to our professional team at All Surface Cleaning Company. We will create a roof maintenance program that will keep your roof quality high, even as it ages. To learn more or to request your free estimate, call us today at 503-590-9274 or contact our team online. While we are located in Tigard, we serve homeowners throughout the Portland metro area.